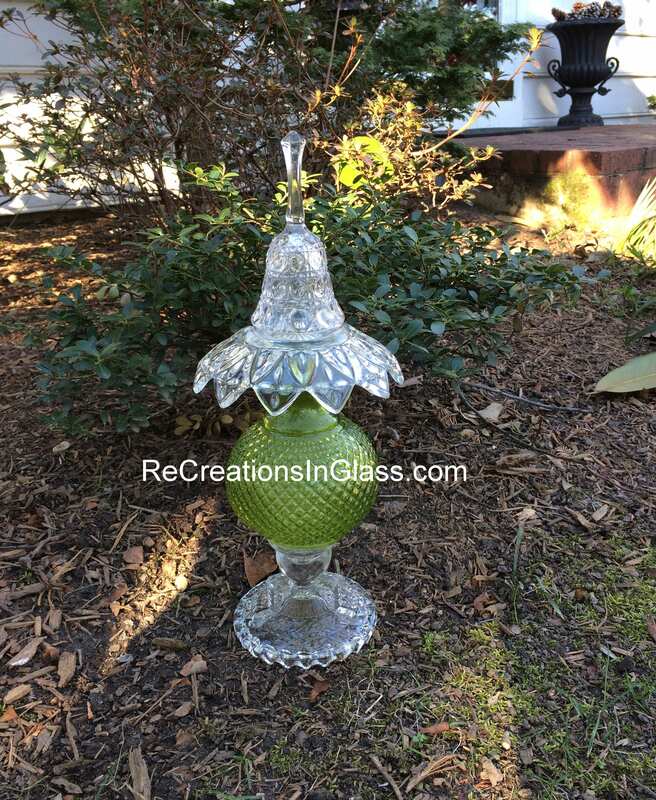 This glass totem will perk up your yard! 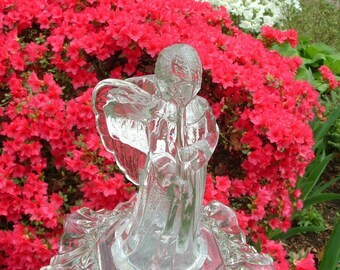 Even as your flowers come in this spring, this lovely piece can hold its own against nature's beauty. Catches and reflects the sun. 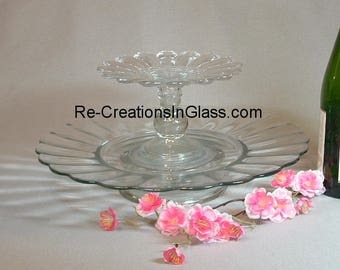 Assembled sculpture using recycled repurposed glass and crystal. Nice gift, too.